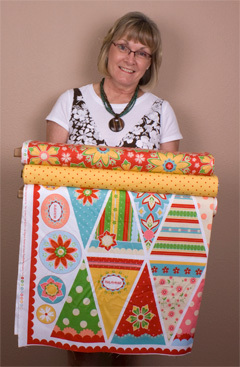 "I am Delighted to tell you that my current favorite designer is Amanda Herring from Quilted Fish for Riley Blake! Her newest line, Delighted, just hit our shelves and I am in love with her pennant panel! I am going to make these and hang them in my sewing room for inspiration! 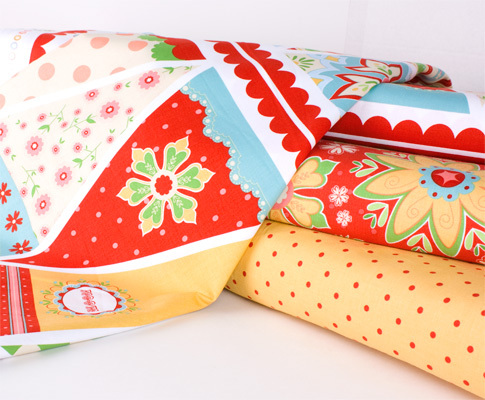 I think I’ll back them with the yellow fabric with the little dots! This panel has so many uses!"